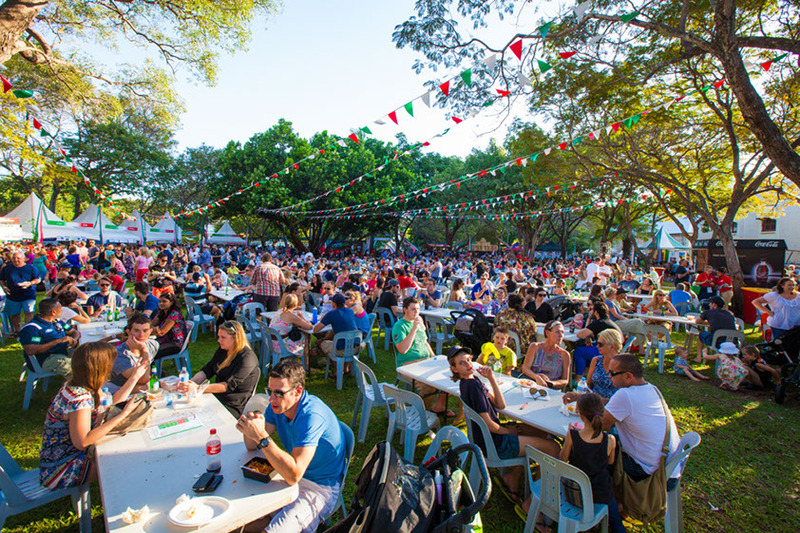 The much-anticipated Darwin Italian Festival will be held on Saturday, May 11 from 12:00 pm until late, at Civic Park, with more on offer than ever before. Held biennially in Darwin, it is one of Australia's biggest and best Italian festivals and continues to grow at each event. The festival was transformed for the better by the addition of the Trevi Fountain replica in 2015, built by Calabrian migrant Eugenio Scaturchio, who arrived in Darwin in 1956, at age 15. “The first three days [in Australia] I went blind with the sun,” Scaturchio said in an interview with ABC News. Scaturchio went on to launch a building company responsible for many structures in the Northern Territory, including Pine Creek Town Hall, Roper River Hospital, Casuarina Village, Parap Railway Station and Darwin’s St Vincent de Paul. For the 2015 edition of the festival, Scaturchio delivered an astounding structure composed of a five-metre-long printed background, a plywood frame, an LED light system that turns on at night, and a gray concrete pool lined with heavy sandbags. The fountain can be disassembled and reassembled whenever needed. Visitors to the replica fountain can toss a coin over their shoulder into the fountain in the traditional way, which in Rome ensures a return to the city will be made. Rather than promising another visit to the Eternal City, the takings in Darwin are collected and donated to charity, with all proceeds in 2017 going to the Cancer Council (NT) and the Leukaemia Foundation. The Darwin Italian Festival is a free community event combining a spectacular arrangement of Italian art, history, culture and traditions. More announcements on food stalls, entertainers, competitions and prizes will be made in the coming weeks.